We know y’all have been patiently (or not so patiently in some cases) waiting for news from the Kilgore fund and it’s finally time for announcements. This is the first of two tournaments we’ll be announcing. More details on the second later but for now, here we go! We’re very excited to be partnering with COMBO BREAKER for their 2018 tournament. 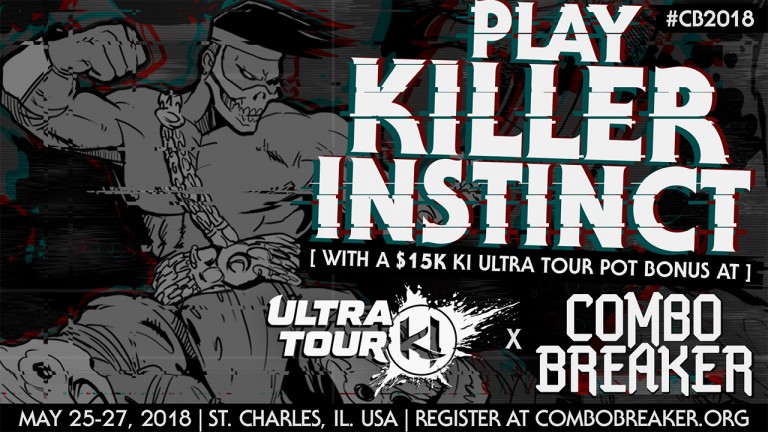 COMBO BREAKER is a returning partner for the KI Ultra Tour. Since 2015, the convention has held some of the largest Killer Instinct tournaments in KI franchise history, and has never had a repeat Champion! 2018 will be the first COMBO BREAKER to feature the completed Killer Instinct with all 29 characters.